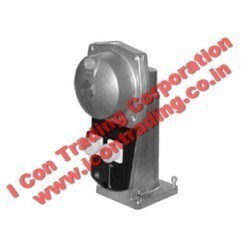 Leading Exporter of brahma solenoid valves and coils models, solenoid valves and coils, honeywell gas solenoid valve, lucifer solenoid valves and coils, siemens skp safety shut off valves and multiport valve from Kolkata. 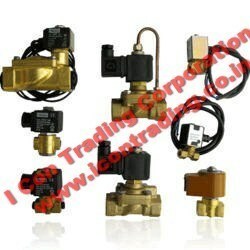 With the aid conscientious personnel, we are engaged in supplying and trading Brahma Solenoid Valves and Coils Models. Our offered valves have recommended uses in burning equipment for regulating fuel supply by performing shutoff, release and mixing air-fuel supply. We have with us wide stipulations of these valves for fulfilling the diversified needs of customers. 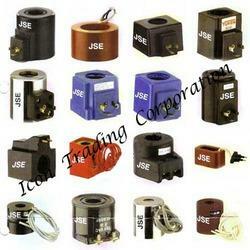 A wide range of solenoid valves & Solenoid coils of branded companies make for both Oil & Gas are available with us. We import/keep in stock and supply all over world. 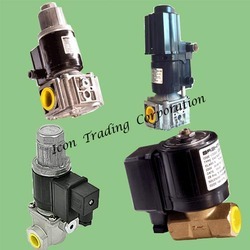 • Avcon solenoid valves and coils, etc..
We are known for supplying and trading supreme quality Honeywell Gas Solenoid Valve. These valves have intensified use in modulating air-fuel supply of burners as per precise needs of combustion. With the procurement being done from reliable sources, these valves have durability, excellent finishing and rust proof traits. 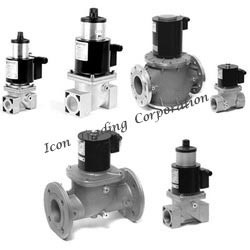 We provide utmost assurance of clientele satisfaction by offering these valves under various specifications at nominal price tags. With the aid of advanced infrastructure system, we are influential in supplying and trading Lucifier Solenoid Valves and Coils. Profoundly used as tool for determining air-fuel supply in effective combustion, these valves are procured from worlds' renowned vendor. After their procurement is done, our skilled professionals rigorously inspect these products under strict quality norms for assuring their long life functionality. 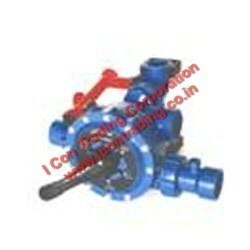 I-Con trading corporation,Kolkata offering all kinds of Simens make Safety Valve for oil and gas burners. Backed by dexterous professionals, we have been able to provide the customers with a highly durable range of Multiport Valve. The offered range is manufactured in strict accordance with the international quality standards by employing genuine tools, modern machinery and advent tools. Suitable for fully automatic DM plants with advance regeneration features reducing rinse water quantity. 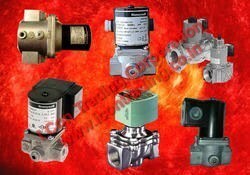 We have gained wide reputation as preeminent firm supplying and trading Parker Air, Oil, Solenoid Valves. These valves offered by us are widely used in burners for effective monitoring of supply of fuel in combustion process. Our offered valves are known for excellent finishing and low maintenance, owing to their procurement from notable vendors. Furthermore, these valves are supplied to customers in tamper proof packaging at equitable price tags.